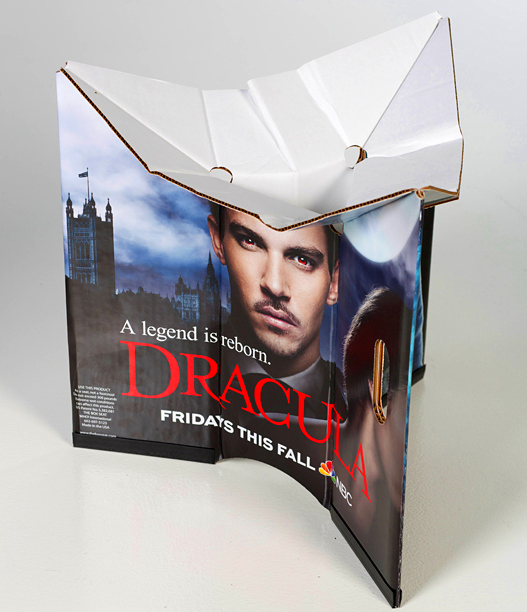 Jonathan Rhys Meyers Fansite > Dracula giveaway! The fate of a second season of “Dracula” still hangs in the balance. In the meantime, the JRMfansite is giving away an exclusive NBC promotional material for the show picked up at the 2013 San Diego Comic Con last summer. 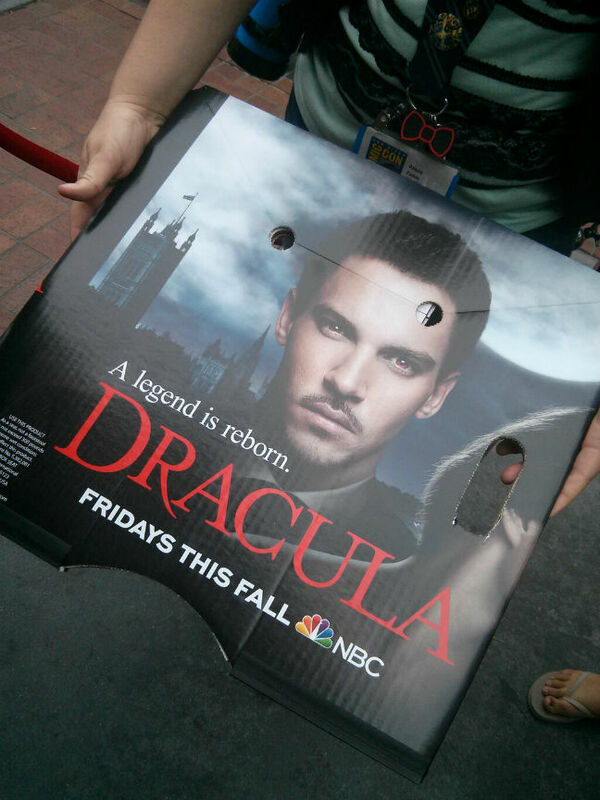 NBC handed out cardboard seats with “Dracula” and “Grimm” images on them. I have one to give away that was kept perfectly intact and was not folded or used as a seat. You MUST like the JRMfansite on Facebook OR follow @JRMfansite on Twitter, Tumblr, or Google+. You have until Friday, February 14th at 5pm PST to enter. A winner will be picked at random and contacted. Good luck! UPDATE: CONTEST IS NOW CLOSED. Thanks to all who entered! You’re doing a really great work and please keep informing us about all jrm news. I wish to try to win..why not? I became a fan of JRM when Dracula premiered on NBC. Since I read there is a chance of cancellation, I have watched the majority of his many movies on cable. Jonathan has a rare, special talent with singing and acting. I am writing too late to enter then contest for the Dracula giveaway. None of the American soap operas have actors from the UK. I wish Jonathan could interview for either General Hospital, the Young & the Restless, or Days of Our Lives as a villain. HE WOULD BE SUPERB!! Most of the soaps are in New York city. Also, we lost our dear Paul Walker on November 30. He was 40 years old. Fast & the Furious 6 had an English actor as the villain. Wish JRM could be in F&F7. That would be great. You are so darn cool! I wonder why there’s no information about voting “Save One Show” Dracula is on 4th position now and it’s sad!